FL Technics, a global provider of tailor-made solutions for aircraft maintenance, repair and overhaul, successfully develops its Line Maintenance support network by launching two new Line Stations in Lviv, Ukraine and Kutaisi, Georgia. The company also plans to open a Line Station in Benghazi, the second largest city in Libya. The new stations at Lviv Danylo Halytskyi International Airport (LWO) and David the Builder Kutaisi International Airport (KUT) are already operating and offering comprehensive Line Maintenance services, including on-call maintenance, pre-flight, daily, weekly and transit checks as well as component replacements, inspections and repairs, etc. Meantime, the upcoming Line Station at Benina International Airport (BEN) will be launched and operated in cooperation with Air Libya, and will provide LM support to third party carriers operating to Benghazi, Libya. All new Line Stations will be operating under EASA Part 145 regulation, while maintaining 24/7 availability for both AOG and scheduled services. “We are constantly monitoring development plans of our current and potential customers in order to be in the right place and in the right time. Both local and international carriers are expanding their flights to/from emerging aviation markets. But the rising demand for air travel is not the only factor which influences carriers’ decision to start operation to a certain airport. Technical infrastructure and the level of MRO service provided in airport are also playing a vital role, as airlines need to ensure European quality of aircraft maintenance support. That is why we have decided to expand our Line Maintenance network to Ukraine, Georgia and subsequently to Libya. 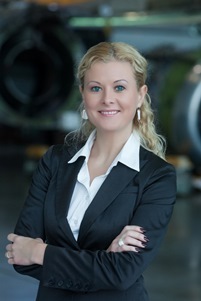 We are certain that the new stations will not only contribute to our clients’ successful performance on new destinations, but also assist local markets in improving the level of MRO services and bringing them to the European practices as well as safety and quality standards”, commented Asta Zirlyte, Head of Line Maintenance Dep., FL Technics. New FL Technics Line Stations will be servicing various aircraft types, including Boeing 737NG, Boeing 737CL and Airbus A319/ A320/ A321.